This is the third creature I have completed in my creature development class that is being taught by Alex Alvarez. 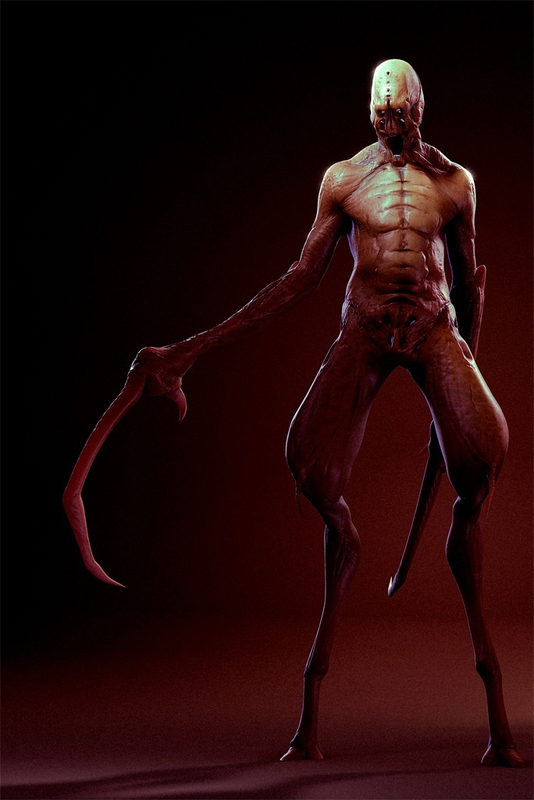 The model is based on a concept called "Creep" and is also from Jerad Marantz. I modeled the base mesh in Maya, sculpted in Zbrush, and then rendered in Maya with Mental Ray and split the image into 8 passes or so to comp in Fusion.